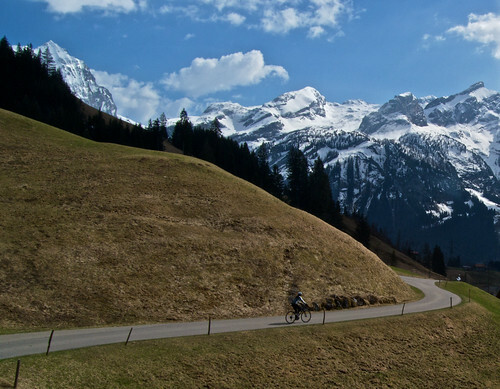 Doreen and I spent a great weekend following various cycling routes around Gstaad. The skiing is finished for the year, so most of the tourists have gone. And there are beautiful signed cycling routes in all directions. 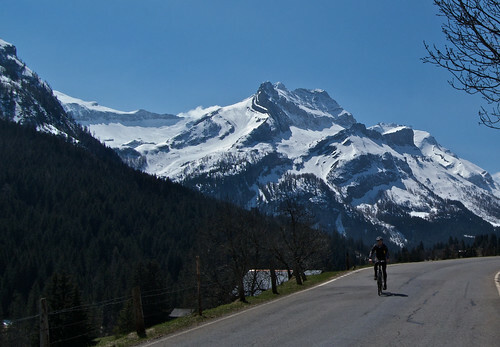 Many of the roads are the typical Swiss well surfaced quiet single lane farm roads. It’s absolutely the best time of year, as the roads are clear, but still plenty of snow on the mountains. 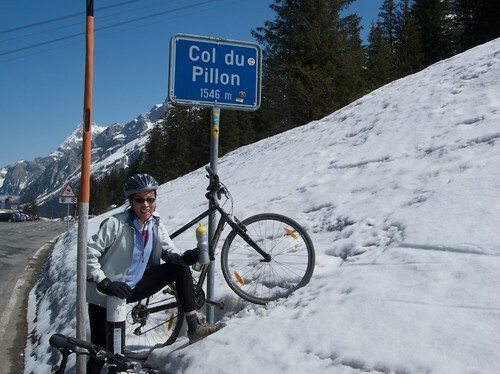 We took three hilly routes: to Col du Pillon, to Thurbach, and to the Lauenensee. What spectacular scenery, have been thru that area several times, planning on another trip late August thru September, have a very good friend that lives in Trelex, CH I would like to meet you sometime and do a cllimb(s) with you.